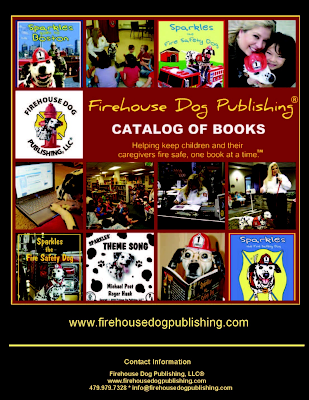 Firefighter Dayna and I are very excited that my publishing house, Firehouse Dog Publishing, has released its 2010 Book Catalog! You can even catch a sneak peek at my new children's fire safety books that are coming out soon! Click on the picture below to view the catalog. Fire Departments, schools and other organizations may contact info@firehousedogpublishing to learn about volume pricing. Have a fire safe day!